The local promoters and the follow-up team – Piña Palmera A.C.
Who are the local promoters? They are people from the community who are training or already had a process of training in the subject of disability and inclusion; It can be a PWD (People with disabilities), relatives of the PWD, teachers, people who are part of the local authority or any interested person. According to our experience, the mothers of the PWD or another relative are the ones who mostly perform or assume the role of local promoters. Accompanied by the CBI follow-up team, they motivate other PWDs and families to participate. They share their own experiences of inclusive processes with PWDs, their families and with community members. For example; teachers, parents and mothers of children without disabilities in the community and with the authorities. 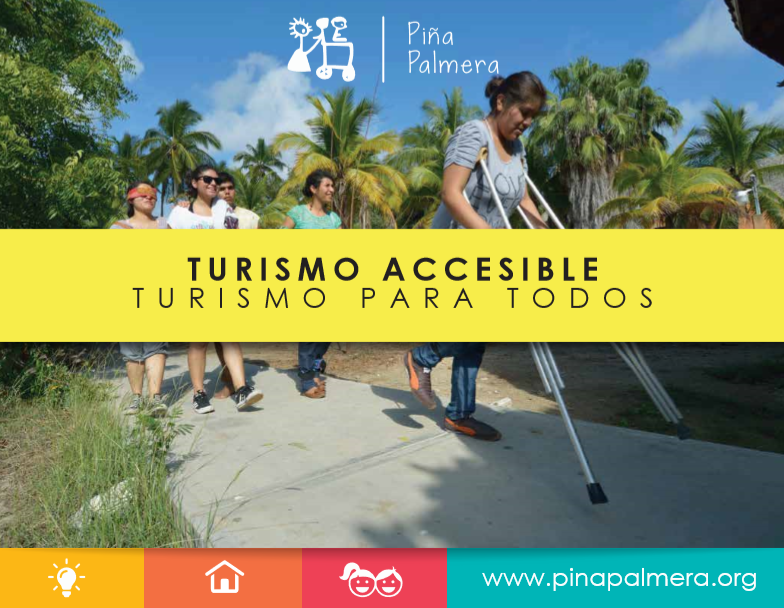 Together with the Piña Palmera team, they coordinate activities and/or strategies conducive to comprehensive rehabilitation and inclusion with the competent local authorities. In some communities they participate in the local radio where they share their experiences to motivate others to start a process of rehabilitation and inclusion. Who is the CBI monitoring team? They are people with experience and knowledge of rehabilitation and inclusion processes. It is a multidisciplinary team with PWD, family members of PWD, local people trained in rehabilitation and inclusion issues and professionals from various areas. 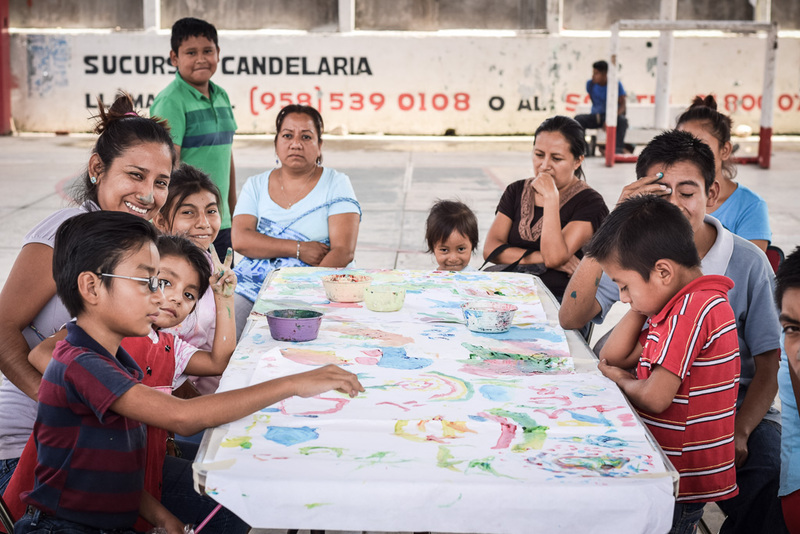 We work with people with and without disabilities (difficulties in the areas of learning, communication and behavior) to develop significant socialization, learning and communication processes in conjunction with their families. In communication, the aim is to develop a language or communication system that can support social interaction. We offer training in Mexican Sign Language (LSM), Braille, language therapy and the use of augmentative and alternative communication systems. We also promote cognitive processes, development of reading and writing and mathematical skills. Orientation and mobility and Braille: People with and without a visual impairment, guide and train the person with a visual impairment and their family in the learning process of the Braille system (reading-writing for the blind), orientation and cane skills. Mexican Sign Language (LSM): People with and without a hearing impairment, train people with a hearing impairment in the LSM. 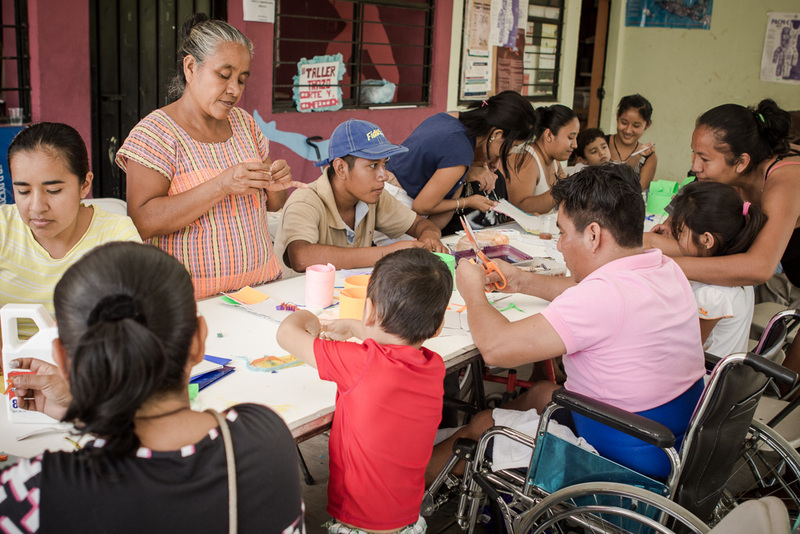 It consists in the orientation and training of people with a physical disability as well as their families in the plan and follow-up of the actions to be carried out to facilitate their daily life and improve their quality of life. Taking into account the accessibility, adaptations with local materials and low cost. The training seeks to work in an integral way through actions that are significant in their daily life (For example: grinding the nixtamal in the mill, sanding wooden birds, etc.). Accompanies the process of each PWD and his or her family with particular emphasis on the development of skills and abilities from the physical, social, cultural and emotional of each participant, so that each person is as independent as possible. Directly trains participants to carry out necessary adjustments, and refer to the corresponding institution, such as hospitals, school, and appointments with specialists when necessary. Children with disabilities are included in regular schools at all times. The accompaniment for educational inclusion includes a follow-up in the learning process of the participants. Visits are made to schools to know the school context, and to guide and follow up with teachers on how to work with the child. In addition, workshops are held to raise awareness and educate teachers, students and families about disability. Accompaniment is done to the child, the family and the teacher. It takes into account the accessibility, adaptations of material and furniture necessary for each situation and disability. Stimulate the community’s interest in the processes of integral rehabilitation, and involve it in the strategy in the broadest and most participatory manner possible. To foster the conditions that allow the implementation of the strategy in the community. Develop awareness strategies to favor the inclusion of people with disabilities in community life. Support the initiatives and actions of the local and/or family promoters of the PWD directly relating to the processes of integral rehabilitation in the areas of education, labor, health and social. Promote reflection within the monitoring team to strengthen comprehensive community processes. Manage courses, trainings and workshops with different institutions to promote CBI. Make links with various bodies and/or groups to promote the social rights approach.